I explore my cultural heritage through images and symbols. Color and form evoke messages for the soul. Our ancestors were keenly aware of this and they create an artistic language that integrates colors and sounds. Revival of this ancient literacy is a dominant theme in my work. My Chicano identity provides me with a mosaic of ancient and contemporary experiences, born of love and peaceful contemplation as much as war and revolution. Who we are is more than an accident of history. It is a deeply personal adventure with multicolor images created by the dance by the four elements. It is this embrace with fire, air, water, and earth that I explore though my art. I have been characterized as a “Cultural Warrior”. 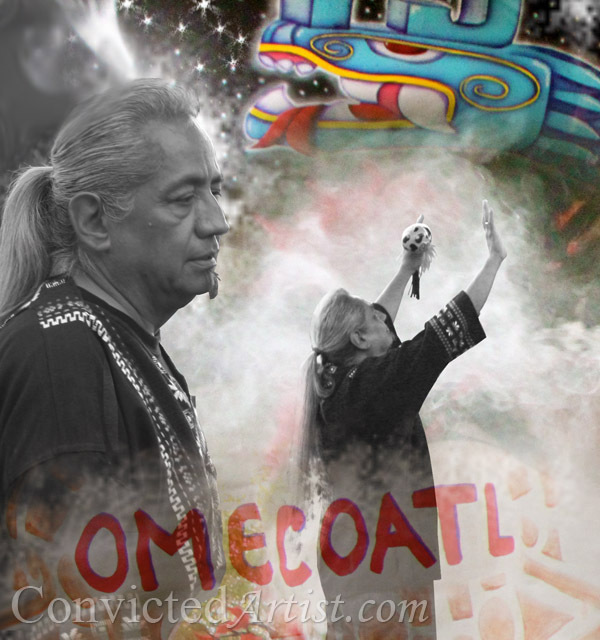 I am passionate about educating and inspiring viewers with my images about the legacy of Mesoamerican civilizations. “Every time I take on a new Mesoamerican symbol as the main subject for my painting, I always learn something new about my Mexican ancestry. 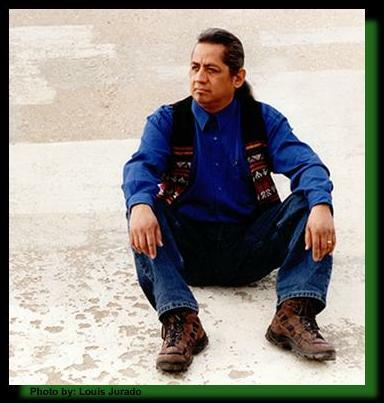 I am a native born El Pasoan who has recently attracted wide attention as a visual artist. My works grace the walls of many private collections and public buildings. I was commissioned by the University of Texas at Austin to produce an original work for The McDonald Observatory’s commemoration of Hispanic Heritage Month. My Painting “Mi Jefita” was selected as the cover illustration for “The Last Tortilla and Twelve Other Stories” authored by El Paso native and Yale University professor Sergio Troncoso.